When you're short on time, stressed out or not the best at thinking of good present ideas, we have you covered. Even though we have never been as spoilt for choice when it comes to presents, with online shopping and better than ever shipping, it has never been harder to buy presents. These days, if somebody wants something, they get it. You have to be pretty creative to give your loved one something they didn't know they wanted. So, we've got our creative hats on and have come up with some present ideas that you may not have thought of. Give the gift of art! 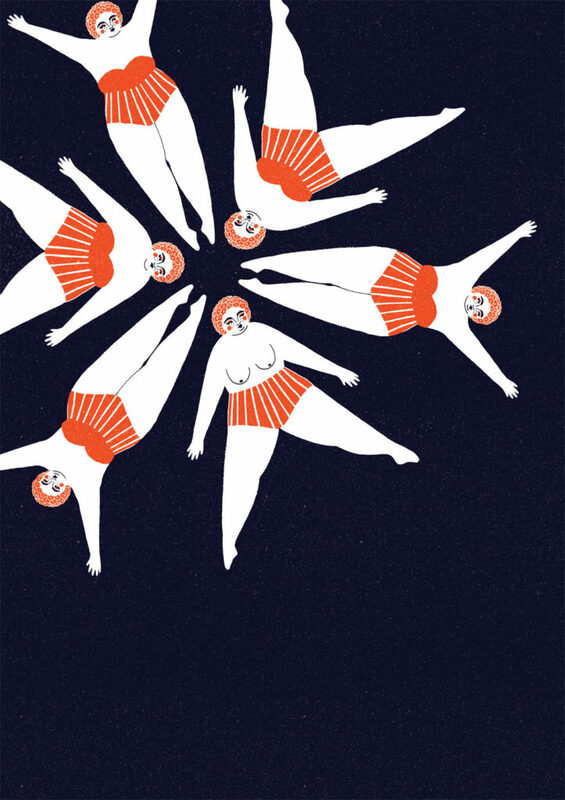 This gorgeous print by Irish artist Tara O'Brien is printed in Dublin onto 300gsm UPM Fine Uncoated Matte Stock It's not just any print, either; it's signed by the artist by hand, making it even more special. It's a really unique, beautiful gift that she will have and value for years and years. 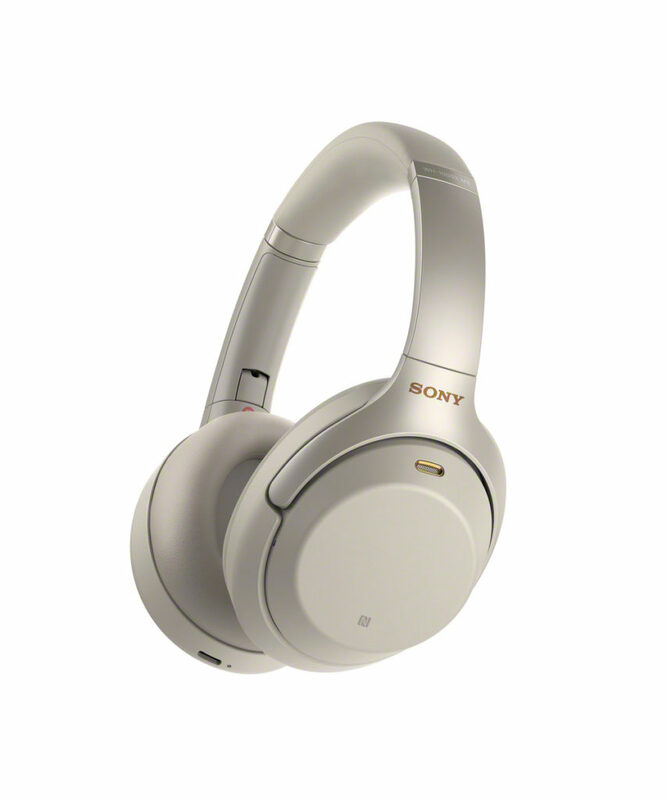 These headphones from Sony's WH-1000MX3 range are perfect for those who want to turn up the Christmas tunes and block out the noise around them. The latest addition is the award-winning over-ear WH-1000XM3 headphones that feature a newly developed HD Noise Cancelling Processor QN1, which offers exceptional performance and can cancel out background sound such as street noise and human voices. Perfect for anyone flying home for Christmas, with 'Quick Attention' mode you can order a round of gins from the air steward without having to take your headphones off; just place the palm of your hand on the outside of the headphone. You can never go wrong with a gift set from Benefit. As well as having the most gorgeous packaging in beauty, the products are genuinely brilliant. This year, we cannot resist the gift sets that come in beautiful cake-inspired tins (and they come in both mini and full-size versions). From left to right, here's what's in our favourites. Mini Makeup Trio: Travel-friendly sizes of Benefit’s bestselling The POREfessional pore primer, Gimme Brow+ brow-volumizing fibre gel in 3 I mini, and curling Roller Lash super-curling & lifting mascara in black. 4 Piece Skincare St: Help skin look plump and hydrated with Instant Comeback Facial Serum, deeply moisturize with Total Moisture and help fade dark under eye circles with It’s Potent! Eye Cream. Also includes our nutrient-rich conditioning brow primer with keratin and soy proteins known to help brows look thicker, healthier and fuller. Full Face Makeup Set: Including the Get our hottest and newest BADgal BANG! volumizing mascara, the iconic The POREfessional, High Brow brow highlighting pencil and Gogotint bright cherry tinted lip and cheek stain. All full size! Speaking of never going wrong, mothers, girlfriends, nieces, anyone loves skincare from Clarins. Every Christmas, they curate gorgeous collections for every type of skin. I get a Clarins set every year, always use every last drop of the products and I always use the cute little pouch they some in. This year, I'm coveting these. Cocooning Gift Set: Moisture Rich Body Lotion, Exfoliating Body Scrub, Hand and Nail Treatment Cream with large size 2018 Holiday pouch. Week-End Treats Gift Set: Beauty Flash Balm, Hand & Nail Treatment Cream, Moisture Rich Body Lotion, Instant Light Lip Perfector #01 mini, Hydra Essential Cream PNS, Eye Contour Gel. Hydration is Back Gift Set: Hydra Essential Cream AST, SOS Hydration Mask, Gentle Refiner. When you think of Christmas shopping in Dublin, you think Arnotts. It has floor upon floor of gift ideas - but if we had to choose just three items, here's what they would be. Carvela Bag: Everyone needs a really good little black bag but few people would buy one for themselves. That's why this is such a good present. 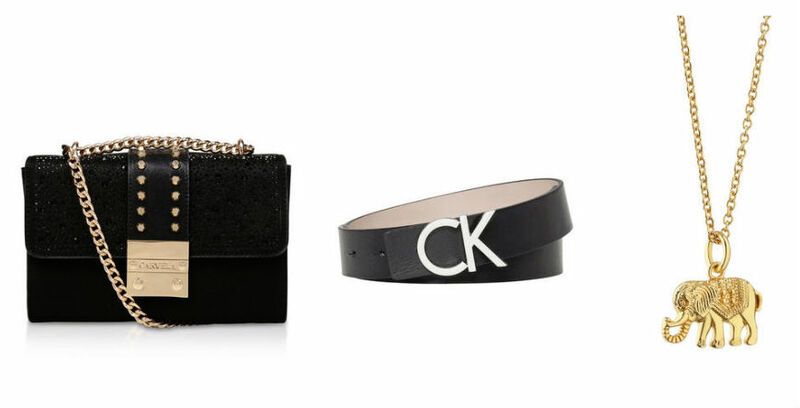 Calvin Klein Belt: Belts are SO in and this one is a statement she'll wear all over the place. Amy Huberman Pendant: It's a pendant with a difference - because it's an elephant! Gorge. Another one-stop gift-getting spot, but this one is nationwide! Obviously, you're spoilt for choice and almost everything is reduced at the moment. We'll be picking up stuff from Debenham's own brands (like the gloves) but there are plenty of independent products to tickle your fancy, too. Fleece Robe: There are few things better than snuggling up on the couch at Christmas in a fluffy, soft dressing gown. 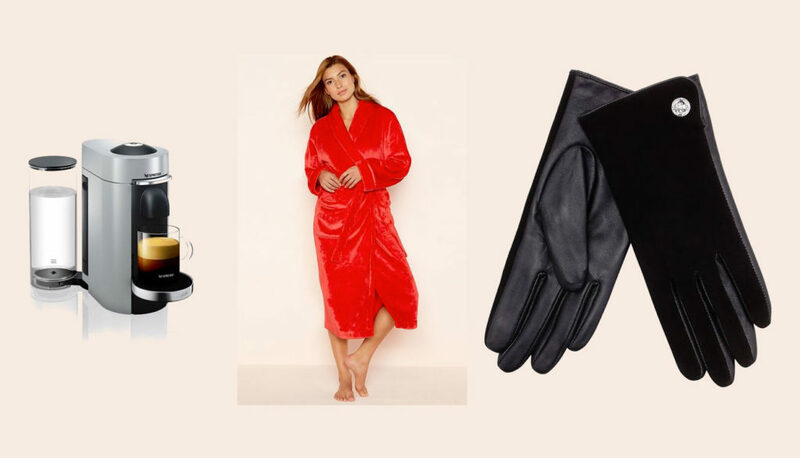 J by Jasper Conran Gloves: Add some fancy gloves to her winter accessories collection. A Peter Mark gift card is SO handy. Because there are so many Peter Mark salons in the country, she will be able to get a blowdry in whatever town she lands in! Available at all Peter Mark salons throughout the country, give the gift of good hair from as little as €15 up to whatever amount you like! You can also purchase online from www.petermark.ie from as little as €10 up to €250. 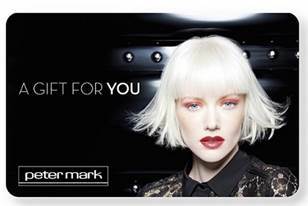 The Peter Mark gift card and eGift card is redeemable in all Peter Mark salons for both salon services and the wide range of products available from brands such as Redken, Pureology, ghd and Kérastase. Do you find it hard to shop for presents at Christmastime? Have we given you seasonal food for thought?